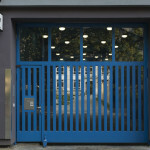 When you spend your student years living in an architect-designed former car radio button factory in the ultra-hip Berlin neighborhood of Kreuzberg, face it, you’re just going to be a little spoiled for everything else. 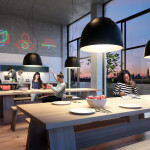 And it should come as no surprise that, thanks to a developer specializing in student living, students in de facto hipster sister city Williamsburg will be getting a similar opportunity to live in architectural bliss rather than institutional semi-squalor. 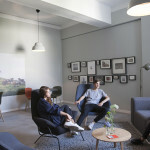 Looking at images of hip young ‘ins lounging about in what looks to be the espresso-break zone of an architecture firm (or, more recently, one of the new co-living spaces like WeLive and Common, which are–perhaps not coincidentally–being described as the new adult dorms) we’re informed that this is the “vertical campus” developed for non-profit exchange student organization Council on International Educational Exchange (CIEE) in the aforementioned Berlin neighborhood. 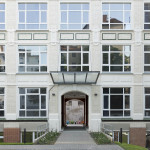 The two buildings of the 260-room G.27 Global Institute described above contain 79,000 square feet of space, with 40 single- or double-occupancy rooms on each floor and a communal kitchen and lounge space. 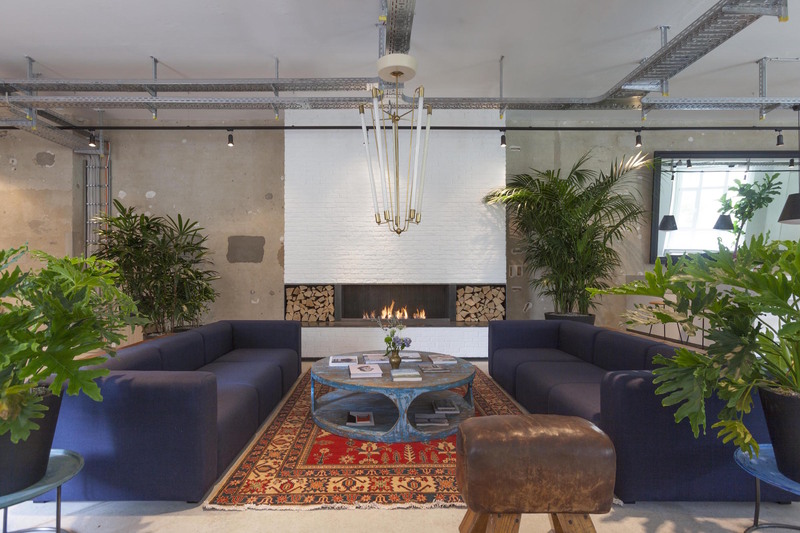 The firm sourced vintage and new furniture for the interiors, with a focus on Danish- and Berlin-based designers. 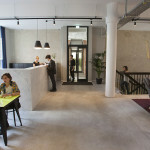 Communal kitchens encircle a central bar with sunny yellow accents. 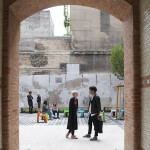 The buildings also contain classrooms, an architectural studio, a workshop and event space. The building’s lobby is anchored by a custom-created stone reception desk and a working fireplace surrounded by comfy seating areas for gathering and studying (compared to most dorm lobbies which really do resemble minimum security prisons). 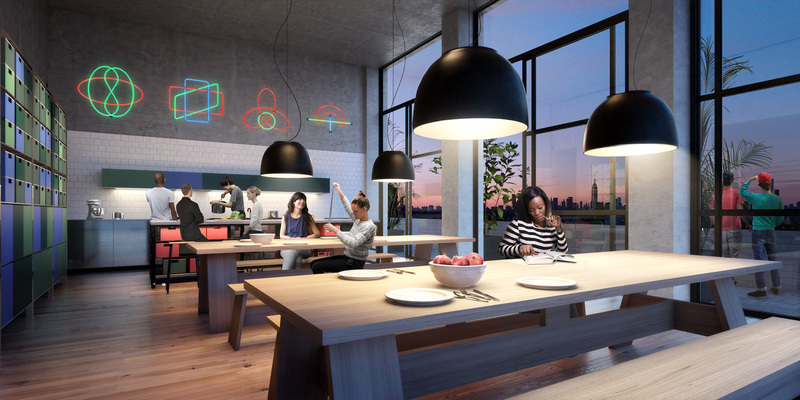 Renderings of Macro Sea dorm building planned for North 8th Street in Williamsburg, lobby (top) and kitchen. 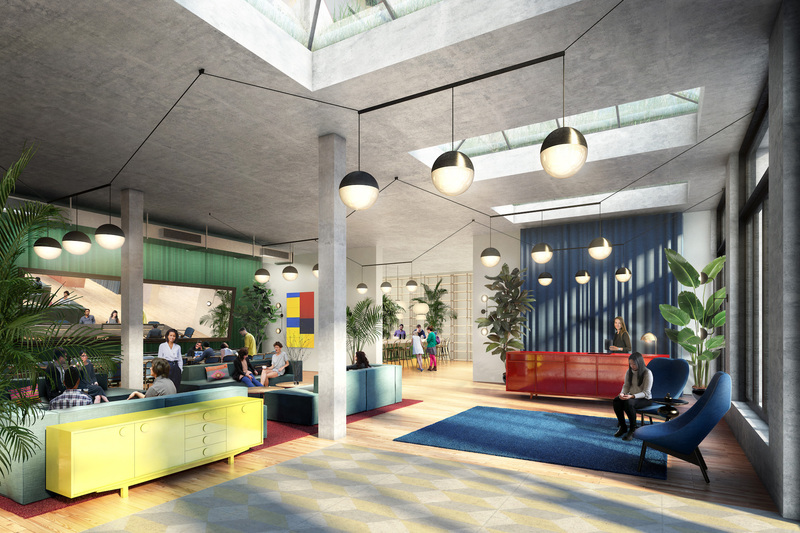 To comply with zoning codes that apply to student housing, Macro Sea will need to partner with local universities in places like New York. 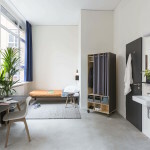 Similarly to WeLive, the aforementioned co-living entity, student residents of all of the company’s buildings will be connected by an app; they can book rooms in other buildings in the network when they travel. So what’s different? In this case, instead of being hired by a developer to operate the living quarters (as is the case with WeLive), the Macro Sea dorm project’s developer is building his own operations entity. 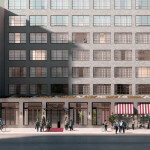 Rendering, exterior, North 8th Street. 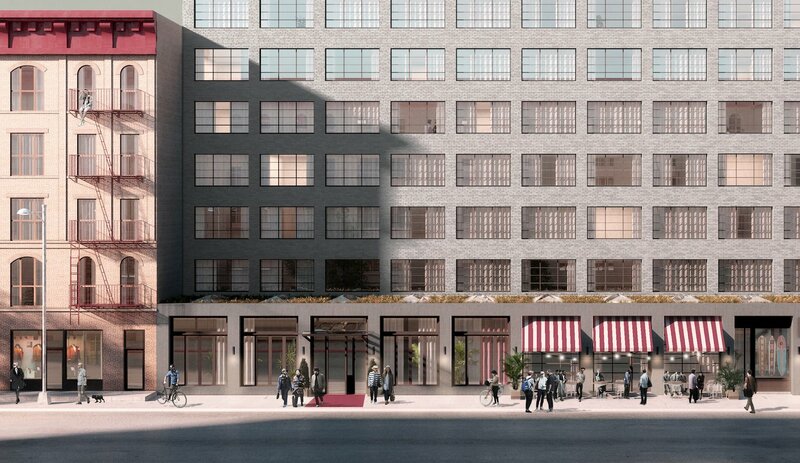 Here in Brooklyn, Belt already owns land in Williamsburg (at North 8th Street near Havemeyer Street) and has plans for a dorm that holds 400 residents early next year. Further plans are in the works for a network of locations, including Rome and Paris, within the next five years. 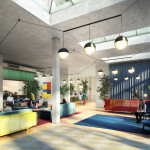 The next building in the dorm network will open within two years in Barcelona, where construction is already under way. 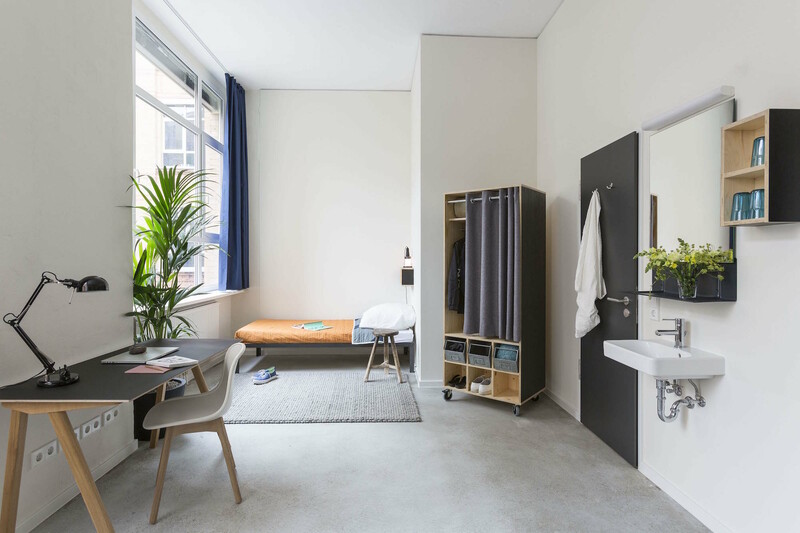 The question may become whether, once you’ve experienced this new kind of student living, the new wave of adult dorm-like housing available post-college will seem like old hat, or just like home.